Hello all, I have H.D. 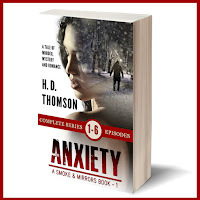 Thomson on my blog today. She is in the midst of a blog tour and also has a rafflecopter going at the end of this post. 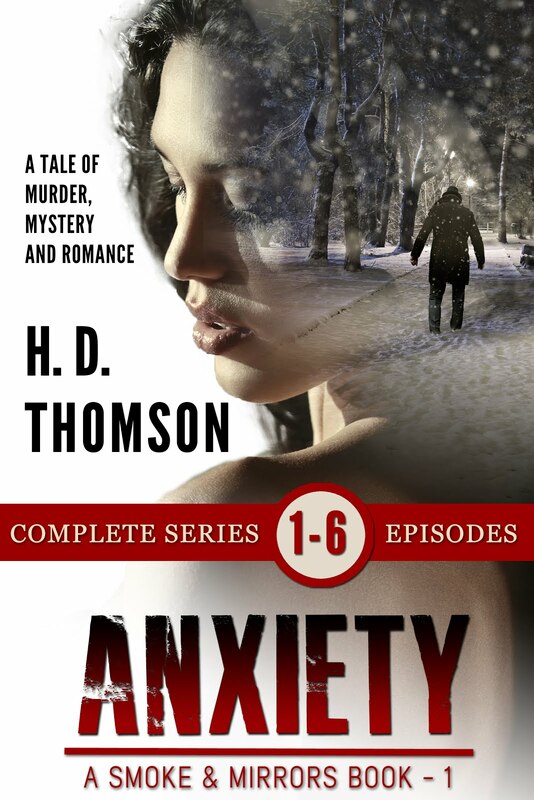 So, let's find out about this book, Anxiety. Thank you, H.D. Thomson, for stopping by and visiting. I wish you many sales while on your journey. Don't forget everyone, to enter into the rafflecopter above, and thanks for dropping by. Today I've got Valerie Ullmer on my blog with her book, KAI, and get a look at that magnificant book cover! I LOVE it. Okay, so what got me hooked on this book was the very first statement - There are two words that described Kai.....Hmm, let's find out more about Kai. Thank you so much, Valerie, for showcasing your book on my blog. The story certainly captured my attention and I can't wait to get the book on my TBR list. Thanks everyone for visiting! TGIF! To finish the week, I have L.M. Brown on my blog with her book, Holographic Havoc. L.M., please, tell us about your book! Hayden waited for Tate to speak again. He wanted to ask whether they really did have a date on Friday, but he wasn't sure he wanted to know the answer. "There's just one real problem I'm seeing with the assistant," Tate finally said. "And what's that?" Hayden asked. He could think of numerous problems with the wretched thing, but Tate wouldn't know about any of those. "You can't maintain confidentiality if others can see the hologram," Tate replied. "If you ask the assistant something you don't want others to hear, or if it offers information others shouldn't be privy to, you could find yourself in potentially awkward or even damaging situations." "That's the beauty of the neural implant," Hayden reminded him. "Only the person who owns the assistant can see and hear it." Tate smirked at him. "I beg to disagree." "I mean, I can see and hear your assistant and have been able to since I walked into this room." "Nevertheless, I can. Which is a rather large bug, wouldn't you say?" Tate laughed. "Oh, I'm sure. Would you like me to describe him?" "Tall, short blond hair, very well-built, wearing an outrageously indecent pair of briefs and a smile." Thank you so much, L.M., for dropping by and telling us about your book. I wish you lots of sales! Please all, leave us a message if you visited, we'd love to hear from you and have a wonderful weekend! Happy Thursday, and guess what? 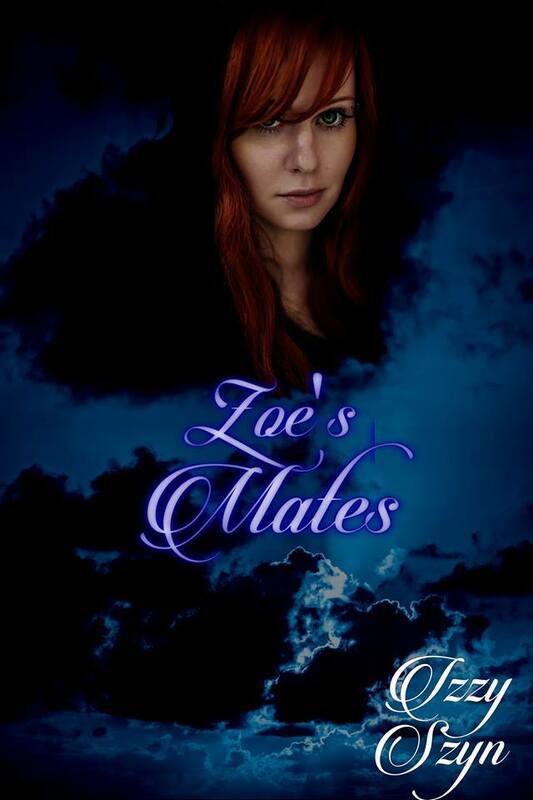 Izzy is back on my blog today with her Blog Tour for Zoe's Mates. 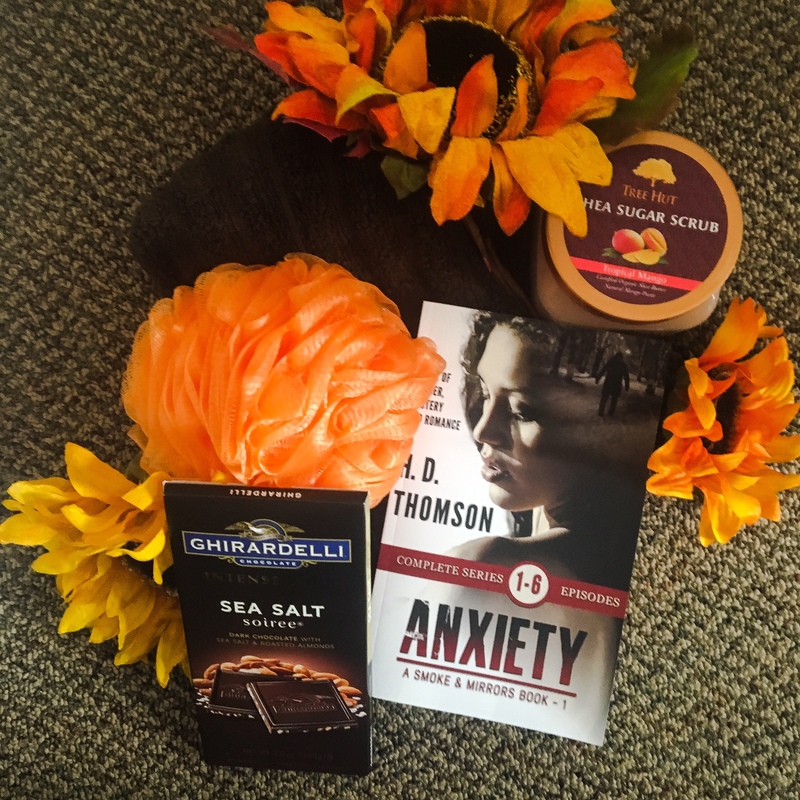 Be sure to check out the giveaways she has going on at the end of the blog. So, Izzy, tell us about Zoe's Mates. Izzy is giving away a $10 Amazon Gift Certificate. Please use the Rafflecopter below to enter. Remember you may increase your chances of winning by visiting the other tour stops. Those locations may be foundhere. **** Bonus Giveaway**** Izzy is offering 2 VIP tickets to Show Me Your Books in Kansas City, KS. 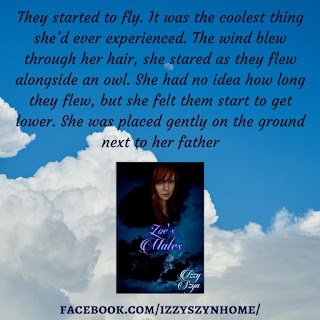 All you have to do is buy a copy of Zoe and then enter with the RaffleCopter. This contest will run until the end of October. The minute they walked in the bakery, Zoe knew what was missing in her life. Them. It took a second for Zoe to realize that Liam was with Brent. Inside she was jumping up and down, her head reminded her that they left without even saying goodbye. âLiam?â It wasnât fair, thought Zoe, that he looked even better than he did before. âWhat are you doing here?â A sexual hunger started to awaken inside her. Her pulse started to race, which was stupid. They probably just wanted to catch up. âAs soon as you left the hospital, I called him,â Brent admitted. âI couldnât stay away,â Liam admitted. Opening his arms, âCome here.â Zoe could hear people talking around her. She didnât care, she was home, in Liamâs arms. The only thing missing was Brentâs arms. âQuit hogging her,â protested Brent. Thanks so much, Izzy, for stopping by. I hope you'll come back with more releases in the future! Please leave us a note if you've stopped by. We LOVE to hear from you. Thanks so much. Hey all, today it's Marilyn Baron's turn to visit my blog. She's sharing the blurp, excerpt and a YouTube video of The Alibi. So, grab your favorite drink, pull up a chair and find out about this book! Merritt Saxe, newly hired public relations specialist with the Florida prison system, answers an urgent plea from their division’s director, Willard Ware Baintree. Following his orders, she finds him in the apartment of his mistress, his bloody T-shirt and the mistress’s dead body convincing her the criminal justice superstar is himself a criminal. The director claims he didn’t kill the woman and coerces Merritt into being his alibi. Meanwhile, as the director pulls her farther into his web of lies, Merritt breaks with her longstanding boyfriend and begins a steamy relationship with hunky attorney Israel Goodspeed, whose brother works for the director. Yet how can she trust Israel with her secret or her heart when she suspects the director has been orchestrating their relationship to keep her in line? Speaking out about the cover-up could cost her more than time in jail…it could cost her life. Tear tracks stained his face. Blood stained his white T-shirt. His eyes were glazed over. He appeared to be in shock. He looked like hell. “Director Baintree,” I shouted, “are you hurt?” My raised voice blew him out of his stupor and back into battle mode. “Miss Braddock?” The director appeared confused. “She’s gone,” he said simply, deflated, his face crumpling. I don’t know what prompted me to do this, but I walked around him and ran from room to room. There weren’t many places to look in that tiny apartment. Apparently, all it needed were the basic necessities—a kitchenette, a bathroom, and of course, a bedroom. hyperventilating. I was going to be sick—I knew I wouldn’t make it into the bathroom. “For God’s sake, stop.” The director walked into the bedroom. He rounded on me, and my breathing calmed, but I continued to stand there, immobilized, staring at the once perfect, now bloody and lifeless body of Savannah Braddock. Let's check this video out. Let's find out a few things about Marilyn. Marilyn Baron writes in a variety of genres, from humorous coming-of-middle age women’s fiction to historical romantic thrillers and romantic suspense to paranormal/fantasy. THE ALIBI is her 13th novel published with The Wild Rose Press. Her book, THE SIEGE: A NOVEL, will be released in early 2018. She’s received writing awards in Single Title, Suspense Romance, Novel With Strong Romantic Elements and Paranormal/Fantasy Romance, and was The Finalist for the 2017 Georgia Author of the Year Awards in the Romance category for her book, Stumble Stones: A Novel. A public relations consultant in Atlanta, she graduated with a BS in Journalism and a minor in Creative Writing from the University of Florida. She loves to travel and sets many of her books in places she’s visited. 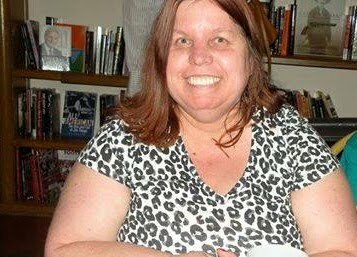 Read more about Marilyn’s books and stories at www.marilynbaron.com. Thanks, Marilyn, for dropping by. I enjoyed reading your excerpt and wish you many sales. Thank you to all who has come to visit us. Please leave a comment, and let us know you stopped by. Greetings everyone! My favorite author and friend, Maureen Bonatch is visiting today with her recent release, Evil Speaks Softly. So lets huddle in and find out about the story she's written, and some facts about her! As a writer who 'writes by the seat of her pants' Maureen’s relentless characters can be demanding in wanting their story told and often have their own agenda. 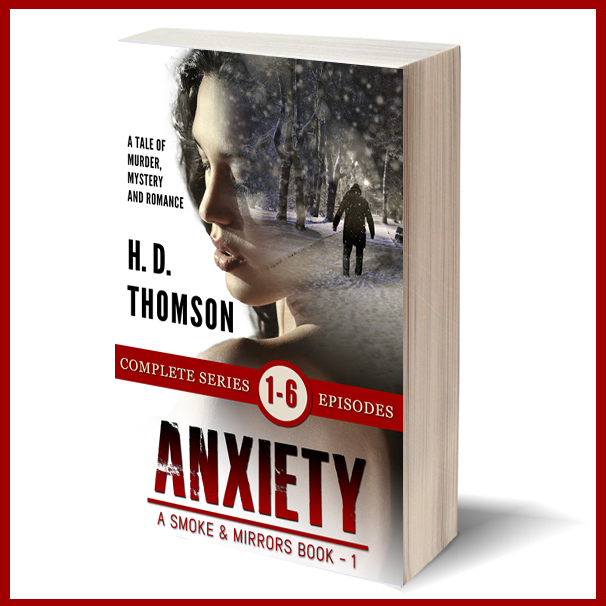 They just aren’t ruthless spirits and there’s no ancient curse…that she’s aware of. The herniated disc Maureen suffered from while writing this story may have leaked a little extra darkness into the tale. Maureen’s first house had a restless spirit. Twins run in Maureen’s family—just no feisty triplets. Maureen has no knowledge of wrestling but she did watch some WWF back in the day for entertainment. Maureen believes she has had sleep paralysis in the past. Nighttime spirits don’t terrify Maureen much since she’s up at the crack of dawn and can barely stay awake after 9:30 p.m.
Wow, Maureen, your story sounds spooky and right in time for Halloween! Thank you for stopping by and I wish you great sales. For those who visit, please leave us a note so Maureen and I can say hi! Good day everyone! Monday we start the week off with author Adriana Kraft, with her book, April Swings, Meghan's Playhouse, Book 3. So, take it away, Adriana, and tell us about this book! The original five-book series was first released in 2009 by a different e-publisher. It’s been unavailable for over four years, and we’re thrilled Extasy Books has contracted to re-release it, completely revised and re-edited. In the meantime, Meg insisted we write one more adventure, coming this December. Wow, Adriana, your book sounds HOT! Thank you so much, for dropping by. Please leave a comment and let Adriana and me know that you've stopped by. We would love to talk to you! Hello everyone! Today I have Alexa Aston on my blog with her book, Heart of Honor, and I must confess, I LOVE the book cover! Each book in the Knights of Honor series is a standalone story that can be enjoyed out of order. So, let's read about Book 5! Years had passed since she last saw him at Windsor Castle on the day of the queen’s death. He would have married Richessa, his betrothed. To have found Kit after all these years—only to lose him all over again. “You’re safe, my lord,” she said soothingly. He tried to sit up and sucked in a quick breath. “My head aches,” he complained. He laughed weakly. “I fear they struck me other places, as well. My body throbs as if I have been kicked and then trampled.” He paused. “How did I wind up in such terrible shape? Alys realized Kit didn’t recognize her and understood why. She had been a mere girl at their only meeting. Six years later, she had blossomed into full womanhood. With all the longings that brought—and which she had never understood—till this moment. This sounds like such a great story, I can't wait to get my hot little hands on it! Let's find out some little details about Alexa! Thank you so much, Alexa, for dropping by. I hope you have great sales with these books. Thanks to everyone else, who came to visit. Please don't be shy, let us know who you are! Hi everyone! This book is HOT off the press and I got Linda here with the story's blurp and excerpt! Take it away, Linda! Tagline: He’s been turned down twice and is taking no chances. Losing her job forces her West to become a mail-order bride. Blurb: Jared Manning was left wanting on two prior marriage attempts, and this time he wants to be assured of a bride. So he commits to a correspondence courtship with only one potential mail-order bride and anticipates the arrival of Dina Valdis, a retiring schoolteacher, in time for the town’s Harvest Dance. He knows just how he wants his picture-perfect married life to be and assumes he’s found the exact woman to fulfill the role. 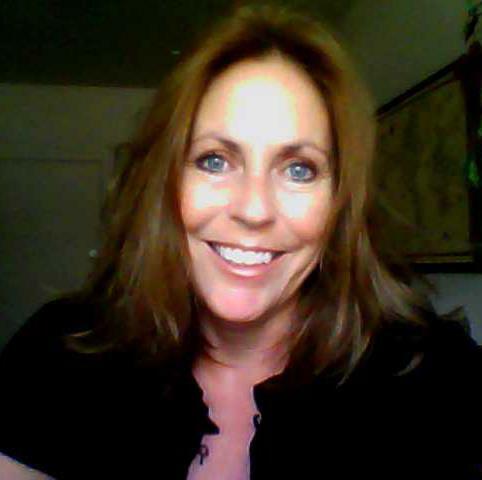 Dina is passionate about being a schoolteacher who sparks the love of learning in young minds. An incident in her hometown of Kingston, New York forces her from her job, and her reputation is smeared. Not wanting to become a hermit, Dina is reminded how her cousins, Aurelia and Rilleta, found happiness with their husbands in Jubilee Springs, Colorado. Thinking this is her only option, Dina heads west as a mail-order bride. Seeing the size of the tiny town almost sets Dina running, but an attraction for this handsome miner keeps her there. When she learns the town’s children have no teacher, she starts a campaign to educate the townspeople. Soon, she’ll have to decide if the attraction she feels for Jared is stronger than her passion for teaching. “I spent a lovely hour or so visiting with Aurelia in her cabin.” She refrained from mentioning how the shock of setting foot inside tiny cabin number four took a while to wear off as her cousin pointed out each of the features and detriments. He winced and looked away. “As part of the bridal arrangements?” Dina’s thoughts flew to her younger, prettier cousin. Her curly blonde hair and lustrous blue eyes that had captivated everyone since she’d been born. Fighting back her jealousy, Dina clasped her hands in her lap. Why wouldn’t Rilleta have mentioned this connection, however transitory, in her letter? “Yes, but I cut off the association almost upon her arrival.” A frown pressed down his eyebrows. “Because of the robbery?” A most ungentlemanly act. She stiffened at hearing him voice his mistreatment of poor Rilleta. And after she’d suffered. “Twice before you’ve been matched? This is unacceptable.” She couldn’t help the rising pitch in her tone. “I had no idea I was your third choice.” She shot to her feet. “I have to think about this development. Good night.” With shock holding her body ramrod straight, Dina walked from the parlor and to the stairs, leaving behind a gaped-mouth Jared. Thank you, Linda, for stopping by and sharing with us your newest release. Good luck and I wish you many sales.